With recent upheavals in the Middle East and North Africa, the eighth edition of The Government and Politics of the Middle East and North Africa has been thoroughly revised to provide a necessary, comprehensive and current examination of the domestic politics and foreign policies of this crucial region. A newly expanded introduction provides students with a comparative and thematic overview of the region, from its political regimes and electoral institutions to its economic and social concerns. Each chapter, written by an invited specialist, uses a common framework to explore the historical background, social and political environment, political structure and dynamics, and foreign policy of a country. Chapters are augmented by a country map, a box providing key facts, and an annotated bibliography summarizing the major literature. The eighth edition provides vital new considerations of the aftermath of the Arab Spring, the ongoing sectarian violence and rise of ISIS, and the growth of social forces like youth movements and women's rights groups. 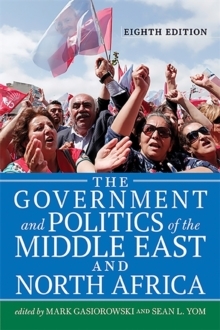 In addition, the inclusion of six new contributors brings fresh perspectives, ensuring that The Government and Politics of the Middle East and North Africa remains an essential guide to the region's political landscape.